Another Carillion may be on the horizon, Unite has warned, as outsourcing firm Interserve’s shares plummeted this morning (December 10) and its future hangs in the balance. Interserve, which maintains a slew of government contracts and operates in schools, prisons, hospitals and roads across the country, revealed on Sunday (December 9) that it would be seeking a rescue plan that may involve issuing new shares. Interserve is now drowning in a debt pile of £500m as the firm’s shares plummeted by 73 per cent amid news of the rescue plan, which is its second rescue attempt after the firm refinanced its debt in March. Interserve shares are now being sold for 6.5p each, compared to 100p one year ago. Notable contracts Interserve runs include a £35m contract for King George Hospital in east London to provide meals, cleaning, security, waste management and maintenance. In England and Wales, Interserve is the largest provider of probation services for the Ministry of Justice for about 40,000 ‘low-to-medium’ risk offenders. Overall, Interserve is one of the largest private sector employers in the UK, with a 45,000-strong domestic workforce. Unite, which has called on the government to have a plan in place in case Interserve cannot successfully restructure its debt-laden finances, has about 1,200 members working for Interserve. Unite assistant general secretary Gail Cartmail warned that Interserve’s financial difficulties are “another dire warning of the dangers of outsourcing public services for private profit”. 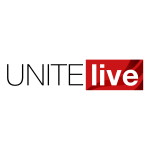 Cartmail said Unite supports a temporary ban on Interserve bidding for public sector contracts while it attempts to resolve its financial problems – a move that the Labour party has also backed. Responding to today’s news, Labour’s shadow cabinet office minister Jon Trickett said that “the Tories’ outsourcing and privatisation obsession is putting our public services and taxpayers’ money at risk”. “The Government must take urgent steps to ensure all existing contracts with Interserve are reviewed and that they are prevented from bidding for public sector contracts until they have proved they are financially stable and there is no risk to the taxpayer,” he added. “The moral is that public services should be provided by the public sector, as the record of these outsourcing behemoths has been woeful – it has been proven to be the road to nowhere,” she said. She called for public inquiry into Interserve, following on from the union’s call for a public inquiry into Carillion, which collapsed earlier this year and saw key government services and projects disrupted and thousands of people made jobless. “We will be monitoring developments very closely and be giving our members maximum support in the coming days,” Cartmail added. Interserve’s failing finances is the latest example of what Cartmail called “the government’s unhealthy obsession with outsourcing”. The assistant general secretary gave another recent example – the fate of Ministry of Defence (MoD) firefighters who are now in limbo after the government pushed to privatise the service. The contract was first awarded to outsourcing firm Capita – which has also been plagued by financial problems – until rival Serco challenged the decision in July. Nearly five months later, a final decision has still not been made. “You could not make this up when most reasonable people would agree that such an important service as MoD firefighters should be under government control,” Cartmail said. Unite general secretary Len McCluskey said the latest Interserve news was further evidence that privatising public services has failed.